It’s true that there is a countless number of kitchen wares and utensils out there. One has to be very particular about the kind they choose to buy. The Teavana Perfect Tea Maker is a very unique and sophisticated product. It is made from a special kind of plastic material Tritan polycarbonate that gives it a glowing transparent look, very appealing to the eyes, allowing visibility of the content. Furthermore, tea is very beneficial to our health and we wouldn’t tolerate any form of compromise. So, it is very important that our tea makers are carefully selected, being that there some tea makers out there that contain harmful chemicals which are mostly used in producing the plastic. That is not the case for this tea maker which is BPA free and harmless to the health. The tea maker has some amazing features like; the duality function which is very suitable for both coffee and tea brewing. The lid closes to help keep the heat in while your tea or coffee is been brewed systematically. The coaster prevents any drips. 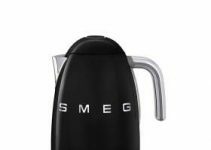 It also comes with an infuser that has a great capacity to take up quite a sufficient quantity at a time. In addition to that is a four-piece construction that allows you to remove for cleaning and easy reassembly. Lastly, you also want a device that can keep your brewed tea warm for however long is necessary. If you brew up to 4 cups a day, then you may want a device with a keeping warm feature. I don’t think many people enjoy their tea cold. Cleaning and maintenance come very easy with this product. A couple of rinsing with warm water and your infuser is clean as ever. 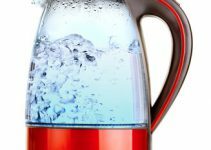 You can fill with a reasonable quantity of water; shake it up easily so that the water runs through the mesh strainer. Empty-out the remaining water and dry with a cloth, and you can use again. The patented drain mechanism will strain the tea into your cup and keep the leaves in the tea maker. It has a plastic handle also to prevent heat burn when handling it. It’s lightweight, portable and wouldn’t take up much space. The plastic material could get scratched easily. Excess falling can also damage it permanently due to the plastic build. It’s not safe to put in a dishwasher. Regardless of the above listed cons, this product is still a great choice for a tea maker, the pricing and the pros outweighs the cons which obviously makes it a good buy. In my opinion, this is one of the best tea makers I have come across. One of my friends have this product for a while now and she uses it on a daily basis. It is the only tea maker she ever purchased, and she loves it. And I always have a good cup of tea when I visit her. So, if you’re a tea lover that require great taste, this product is definitely for you. Show me some love and hit the social share buttons from the left, and a comment if you feel like you need to say something.